Green energy is soaring in the house hunting world. You could say that green is the new black. In, are homes with solar panels. Out, is the inefficient sprawling McMansion energy hog. No more useless space. Sucking up the kilowatts from the local power grid is no longer kosher. Today’s buyer really cares about living in a space that is efficient, and environmentally friendly. It’s not just about saving money either. Yes, that’s part of it for sure. Everyone loves the idea of not being dependent on the utility companies. You can also check other things you can save at home. Here, we will observe what green energy tactics are hot right now. We will take a close look at each and provide some information so that you can consider these popular features for your own home. 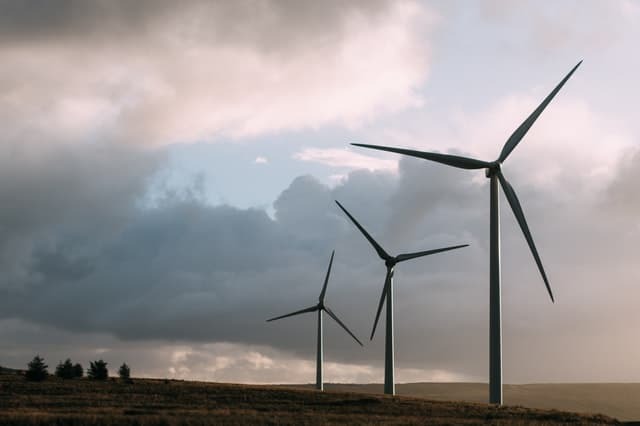 Are you on the GREEN energy bandwagon? Good for you for giving it your attention. We promise some ideas that will make a big impact on the environment and your wallet. We will share all of these things so that you can become less dependent on big utility. You’ll learn how the accumulation of the little things ad up to big change. You will learn several super cheap things that you can do right now to drop the bottom out of your energy consumption. We’re excited to have your ear. We promise to give you the tools to become more efficient, practical and earth-friendly. We will deliver on that promise over the course of this three-part series. Perhaps you’re looking at your own home and wondering what you can do to make it more efficient? 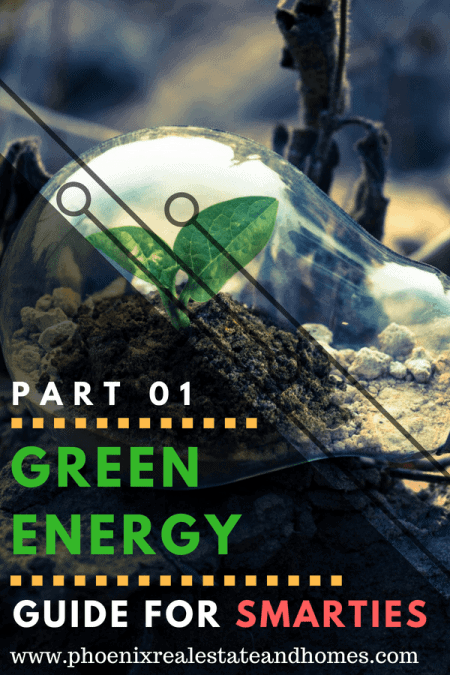 Here in our series of articles about green energy, you’ll see how applying the “can-do” mindset can take you a long way in making your dwelling more eco-friendly and efficient. Living GREEN is as much of a mindset as it is a bunch of consumer-owned things. Finding ways to live our daily lives in environmentally respectful ways makes dollars and sense. We only have one world. we may as well be taking care of her. You are obviously on the right path. Maybe you are miles ahead of the curve. Perhaps you can lend some ideas to myself or a neighbor. Helping one another learn and grow is what it’s all about. Collectively we do make a difference. I remember the air pollution in Los Angelos in the late 1980‘s. It was horrible. Often times we could not see the house across the street. Today, due to all of the individual cars with better emission controls we now have far cleaner air in all of our states. That goes double for Cali where so many people reside. The change in air quality is a prime example of how beautifully we can do as a society if we put our hearts and minds together. We wanted cleaner air and now we have it. Fortunately being a green energy advocate doesn’t mean that you have to move out to the boonies and become a mountain-woman or man. The green energy mindset is one that sees the individual steps added together as the truly holistic approach our communities need. Let me explain. 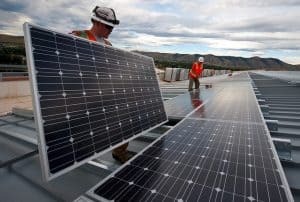 The idea here is that you don’t need to sell your house real fast and invest in a solar energy home. The more down to earth plan is one where you gain an understanding of what you can do to make your existing home more efficient without throwing your wallet over the fence. The green energy mindset understands that sustainability trumps upfront costs every time. Huh? Say what did that mean? What we’re saying here is that money spent up front should lead to a more energy efficient dwelling for all the days that it serves us. When we live in a house that has green energy applications we get to live comfortably without wasting resources or overspending. For example the accumulative effect of $27 worth of weather stripping for your exterior doors and $327 for new sealed can LED lights can go a long way towards making your home greener and, more importantly, sustainable. You see, it’s easy to go buy a new super-efficient air conditioner and solar energy system and still not have a truly sustainable home. Why’s that? It’s because if you have not made your home more airtight you may be throwing good money after bad. 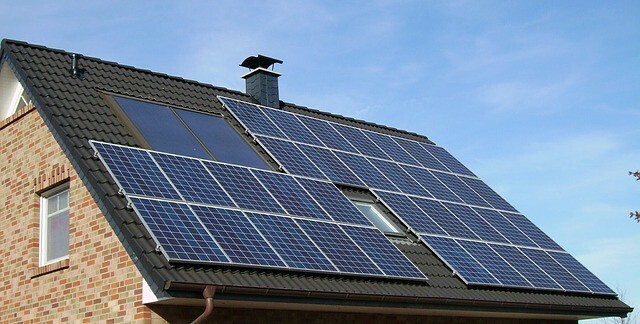 It may be better to help your house be less apt to demand that solar generated power. It would be a good thing if your home could stay cool longer while needing less help from the air conditioner to make your home comfortable. That investment in weather stripping makes your a/c work less. Replacing those old can lights with new LED lights that are airtight keeps the dirty air in the attic from falling into the interior of your house. The LED bulbs do not heat your house up like an incandescent or halogen bulb. The green energy mindset understands that being green is not about spending money to consume. We love to shop. We love to buy. And we want to put our money where our mouth is. In this case, buying expensive “green” components may be that pill that makes us feel like we are hugging our trees really tight. But, in fact, we may be squeezing the life out of them by neglecting the rest of the tree. the roots, The branches. The leaves. Ok, maybe that tree hugging analogy is a little over the top. So, let’s bring things a little more down to earth. Our point is rather simple, yet important. The green mindset is a sustainable mindset. A holistic mindset. It knows that taking small steps to make your home more efficient might make a lot more sense than buying new and expensive products designed to save energy. We are not saying that these new energy-efficient air conditioners are bad. We love solar panels and everything that goes with making a home more efficient. It’s all good. It’s just that we don’t see great value in plopping expensive systems on top of a structure that isn’t well sealed or that has hot lightbulbs that fight against that air conditioner. You’ll hear us talking a lot about the “holistic” approach. This is where we consider all of the pieces that make a home more energy efficient. All of the parts working together for the greater good of the team, the family, the community, the planet. Everything we do to change the energy consumption and performance come together to change that carbon footprint. Now, let’s start exploring all of these little pieces of the green energy puzzle that make sustainability possible. First, theres a table below with Solar powered properties here in the Greater Phoenix area for your inquiring mind 😉. Green energy living starts with the little things. Capturing water on your property via rainfall is an inexpensive way to be green. You can make your own or purchase the systems. Essentially the rainwater sheds from the roof into gutters and is then channeled into some sort of a vessel for storage. The systems people are using to capture rainwater go from simple to elaborate. From a 5 gallon bucket to a full on a system with a series of underground tanks, filters, pumps, and delivery components. Let’s talk about how to gather up the water and then work our way back to an overview of these systems. The simplest way to start is to simply put a five-gallon pale under a rainspout. If you don’t have a rainspout, there is probably a scupper where the water runs off your room. Place a bucket under your scupper or gutter spout and start collecting water every time it rains. What could be easier than that, right? If you want to go big without doing a lot of work just replace that bucket with a 50-gallon rain barrel. They are easy to find, and simple to install. Most come with a screen at the inlet side to keep debris like bugs and leaves out of the barrel. Most are equipped with a brass spigot near the bottom so that a hose can be connected for easy use when it’s time to water plants etc. Don’t let this go to waste. If you have an air conditioner you have an a/c runoff condensation line. Typically they are a 3/4 inch pvc pipe that runs from the a/c to the pvc pipe that directs the water to the earth where it gets absorbed. Why not collect or redirect the water? Here’s how. Option one is to place a container under the condensation line (pvc pipe). When the container fills up just take that water and use it on plants around the house. Option two is to fit a 3/4 inch fitting with an irrigation line reducer. From there you attach a flexible irrigation line and direct it out towards trees or plants that need the water. So simple. So cheap. So effective. So smart. A roof of 2,000 sq feet is capable of harvesting 1,200 sq ft of rainwater with only one inch of rainfall. So even in a desert city like Phoenix, one can capture quite a bit of water over the course of a year. Phoenix gets an average of 8 inches of rain per year. That’s 9,600 gallons of water per year. How much water does the average household use? Each resident in a typical household uses around 80-100 gallons of water per day. At that rate, your 9600 gallons of rainwater will be gonzo in 32-40 days. That’s for Phoenix though. In his excellent YouTube videos about harvesting rainwater Joe Mooney, a self-professed homesteader. Joe walks you through the entire system from roof to drainage to containers, to filtering, and more. He has a great playlist on his Homesteadonomics YT channel just for this. Check it out: https://www.youtube.com/user/homesteadonomics. Sometimes we all get stuck. We sit around and evaluate in our minds why we are not ready. Not ready to begin. Why is that? For some, it might be perfection. For others, it might be confidence. And some may be just plain frightened. Taking steps toward a green energy life doesn’t have to be daunting. So what’s the key? Two things, really. Number one it to be modest. You don’t have to begin with the biggest and the baddest rain harvesting system ever known to man. Why not just put that 5 gallon bucket under the a/c condensation line? You might be amazed at how empowering that simple first step can be. Get that under your belt for a few weeks and start to ad to it. Like we said above. Doing something is far better than sitting around thinking about how great it will be someday when you finally get around to creating and building the finest rainwater harvesting system ever to be imagined. You can easily implement this when you buy a house. And, if you are looking for a home in the Phoenix, Scottsdale, Tempe, or Chandler areas you will be doing yourself a big favor. Water prices are rising at a rate of about 10% every year. Invest now, even if it’s a 5-gallon bucket, and you will be taking the initial steps needed to be less dependent on the local water utility company. Stay tuned for the remaining posts.